I was a little bummed when I opened my box to find everything coated in a grainy sticky mess. Turns out the HoneyMaxx packet seal was compromised and the contents had plenty of time to cover everything in the box. At least it smelled terrific – like oranges and honey. The HoneyMaxx product is the only product I did not sample. At this time, I have contacted Stridebox and am waiting for a reply. My two favorite products from the October Box: Bonk Breaker & Bottleband. 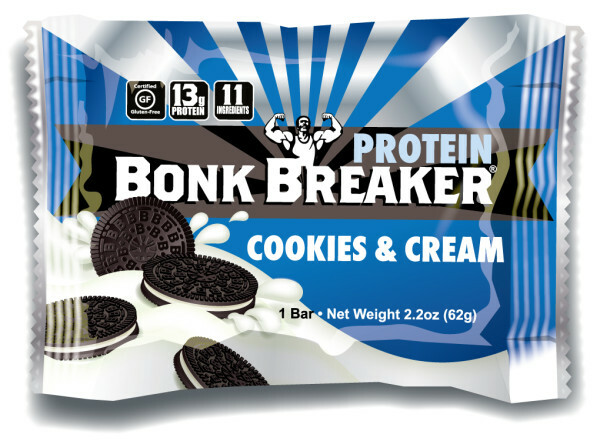 Bonk Breaker sponsors IRONMAN races, so it is a product I try to train with. I had never tried the Cookies n Cream and was impressed that it actually tasted like a cookie. The high protein Bonk Breaker bars always seem dry to me and this one was no different so I did have to drink plenty of water with this one, but felt full and my appetite was satiated. 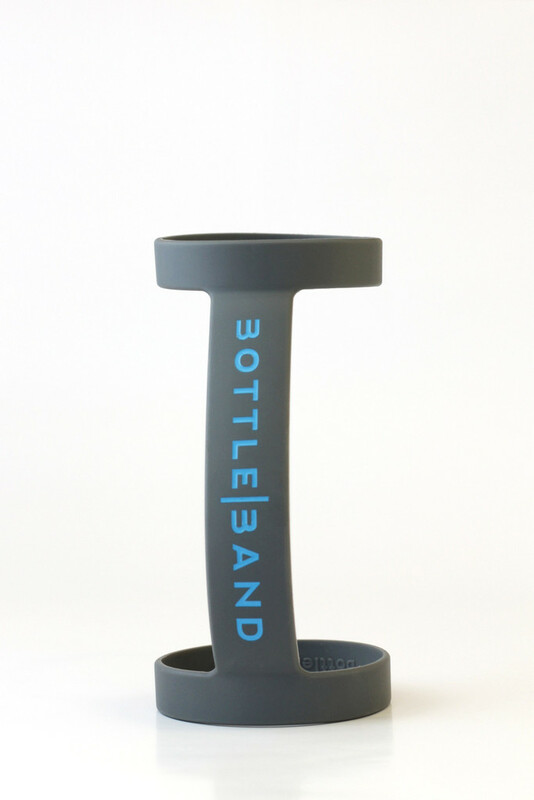 The BottleBand is pretty darn cool. I saw that others had received pink bands and I kind of wished I had gotten a pink one too. Anyhow, the band really does fit around most water bottles. I didn’t try anything too small, but I could see how it would not work for any bottles that are short. My only concern with the BottleBand is how long it will last and will I lose it. After most long runs, I have a tendency to throw stuff wherever as I come into the house hungry and thirsty. I have to admit, I was very excited when I saw the barnana product in the box and I opened it right away. 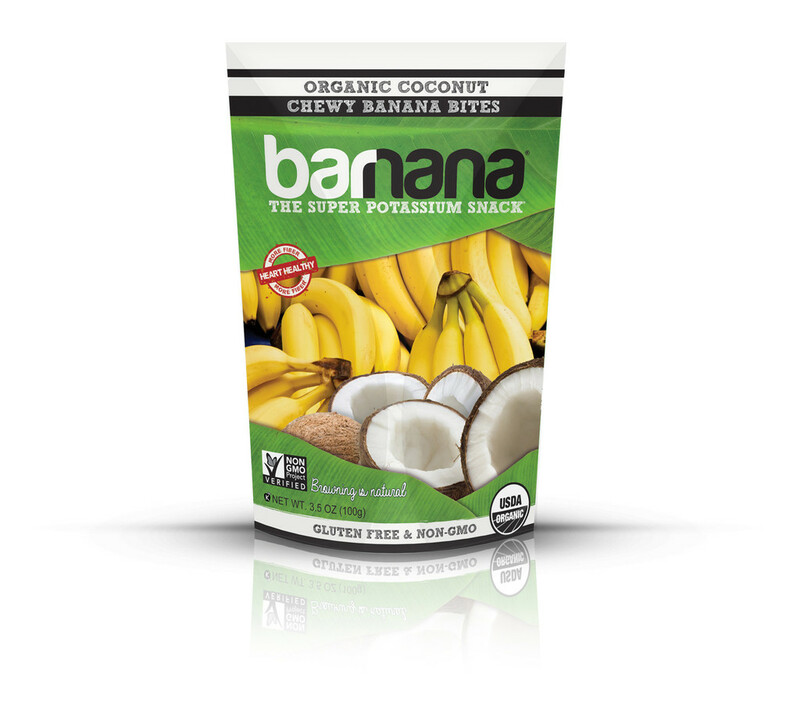 Organic banana and coconut sounded too good to be true…. and it was. The bites were a crumbly dark brown and tasted like overripe bananas, which overwhelmed any sense of coconut being in the product. It actually reminded me of baby poop…. one of the first baby foods we introduce our kids to is bananas and all veteran mommas know it turns their poop from a light color of formula/breastmilk to a very dark brownish color. As a runner, I already eat lots of bananas and I will personally stick to eating a regular banana rather than purchasing these. *I have not been compensated I any way for this review. 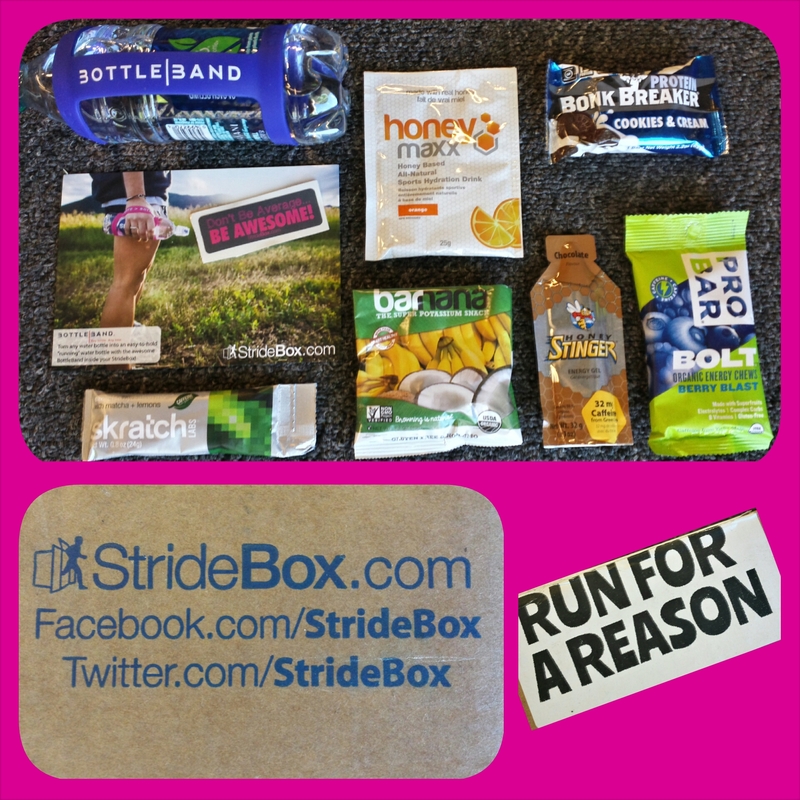 I am a customer of Stridebox and my reviews are my personal opinions. We just got those bottle bands custom made with our running group logo on them and they have been quite popular. Organic Coconut Vegan snack sounds good, bummer that the isn’t true haha. I’d never heard of Stridebox. It sounds like fun! I LOVE subscription boxes – a total guilty pleasure!